Operator Station - Air Suspension seat and ergonomic joystick controls provide a comfortable working environment •Load Sensing Hydraulics - Electronic pump control provides better pump response for improved hoe and loader productivity, performance, and power management. •Superior Power - New larger torque converter delivers greater pushing power, increased aggressiveness in hard bank and faster roading and hill climbing. •Loader Performance - New front loader arms deliver more reach, dump height and breakout. 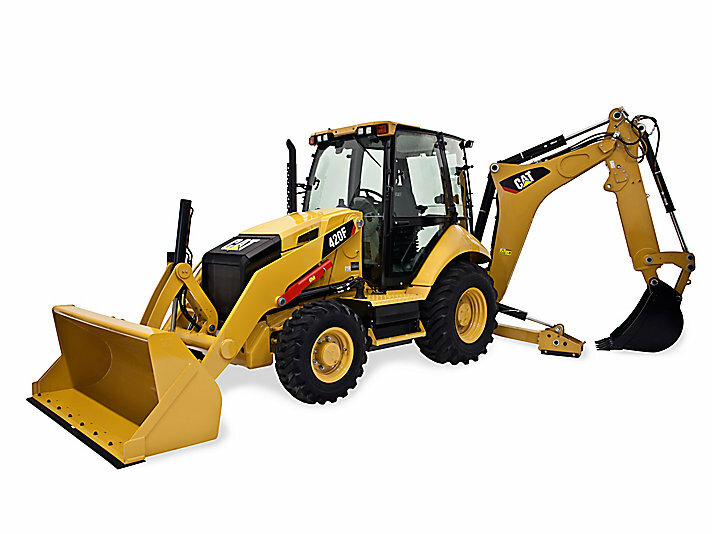 •Backhoe Design - New beefier swing casting and double clevis design improves durability and reliability. •Versatility - A wide array of Cat Work Tools lets you do more jobs with one machine. A hydraulic thumb is also available. The hydraulic coupler makes work tool changes quick and easy.